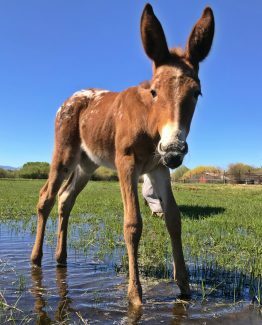 George is a lovely black mammoth donkey colt out of our jennet Ruth and a lovely sorrel jack named Fast Track. 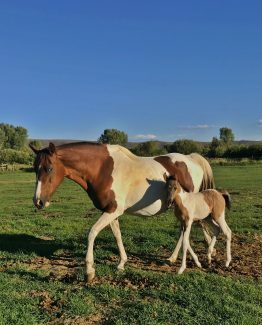 We purchased Ruth in foal and Ruth produced a healthy, friendly and beautiful little jack. Ruth is 15hh and Fast Track is 14hh so George should mature to a nice height for riding. 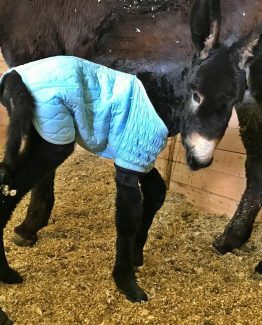 George loves people and was handled from the moment he entered the world. George was sold the day he was born to our friends Jennifer and Charles Lundeby. 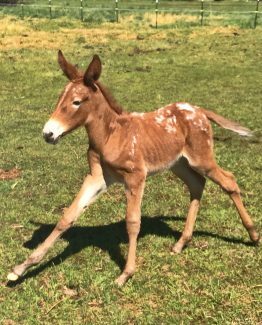 Our foals sell very quickly so make sure to contact us right away if you see one you can’t live without. Ruth will be bred to our jack Lake Nowhere Judah this spring. 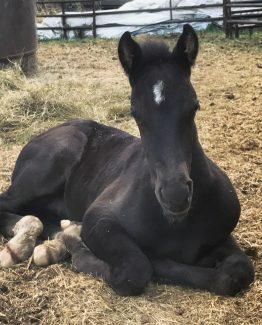 Shadow is a lovely black Rocky Mountain colt with exceptional breeding and beautiful markings. He has three white socks and a star. We are having him color tested to see if he is a smokey black like his mother. His dam is out of Double Take by Yankee Clipper. 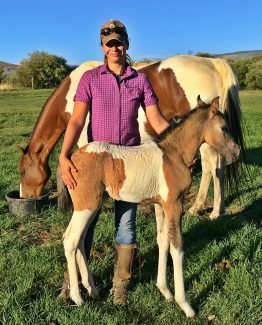 Since her dam is a daughter of Maple’s Squirrel, and her sire is a son of Yankee, Doublelicious is a double great granddaughter of Tobe, she has a very RARE pedigree! Other notables in her pedigree include Cheek’s Rocky, Choco Dock, King Tutt, Honey, Black Squirrel, Bay Beauty, & Dot-O-White. 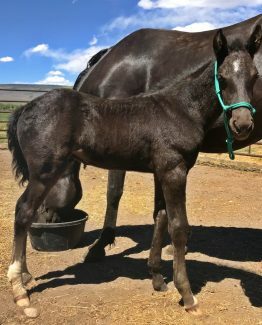 His sire is a son of Spanish Sundown, out of a Rocky Mountain Rogue(Johnson’s Tobe X Foxie Roxie) mare. Cowboy’s 2007 son, TOO MUCH is a breeding stallion in Switzerland producing fine Rocky/Kentucky Mountain Horses of all color in Europe. 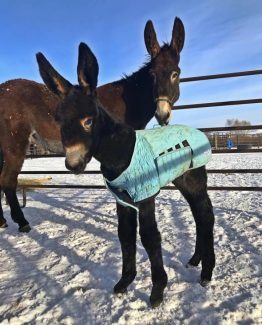 Shadow was imprinted directly after birth and has been handled daily. 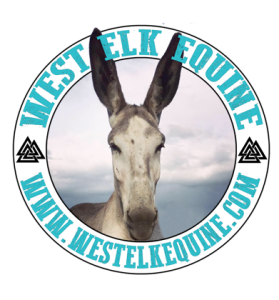 Like all our foals he will be halter broke, pick up his feet, load in a trailer, he with pony, and he will be very friendly and desensitized to many stimuli by the time he is weaned and goes to his new home.